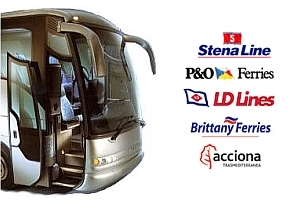 Ferry Logistics offer a personal and affordable group and coach party ferry passenger reservation service at the lowest available rates to all the major UK and European ferry destinations. Our dedicated group travel team will be able to help you secure the best deal for you and your passengers between the UK, Ireland, France, Spain, Holland as well as most Baltic, Scandinavian and Mediterranean ports. In addition to offering preferential rates to tour operators Ferry Logistics is now also able to offer discounted tour operator rates to private customers such as sports clubs, schools, social clubs and even just a large group of friends traveling together on any of the ferry routes serviced. The only requirement to qualify for the discounted group travel rate is that your party should be at least nine people. Your enquiry was not processed as you either did not enter a valid email address or complete all required form fields on the reservation enquiry. In order for Ferry Logisitcs to offer you the lowest available rates to all the major UK and European ferry destinations we do require all information requested. Please complete the enquiry form again to allow our dedicated group travel team to help you secure the best deal for you and your passengers. We do apologise for this inconvenience. CUSTOMER SATISFACTION is the benchmark used by all team members at Ferry Logistics when dealing with our valued group and coach tour customers. Ferry Logistics know how precious your time is and how important it is for you and your passengers to arrive at your destination as comfortably as possible and on time. An altogether better experience than is offered by most other group reservation services. Ferry Logistics cater for all types of coach party and group travel on all passenger ferry routes with all of the major ferry freight operators including P&O Ferries, Stena Line, Irish Ferries, Sea France, Norfolk Line and Eurotunnel departing from all of the main ferry ports in and around the UK and Ireland to France, Spain, Holland, Germany and the rest of continental Europe. ONLINE GROUP PASSENGER FERRY RESERVATIONS for most cross channel freight and cargo ferries is now available. To obtain an instant price simply complete the form below. Notice: The trading names and logos of all ferry company's listed on this page and throughout this web site may be registered trademarks of those companies and are used only to identify the product being sold and for no other purpose whatsoever. 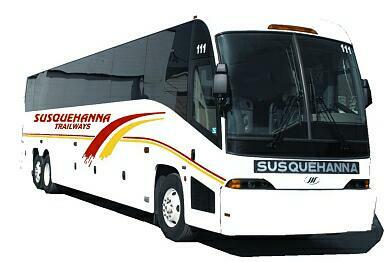 Online group and coach party discount ferry passenger reservation service to all the major UK and European ferry destinations.